Haven't been posting for a while. Kind of missed blogging haha, thanks to O levels, which is now thankfully over. This is not a nonsensical post. 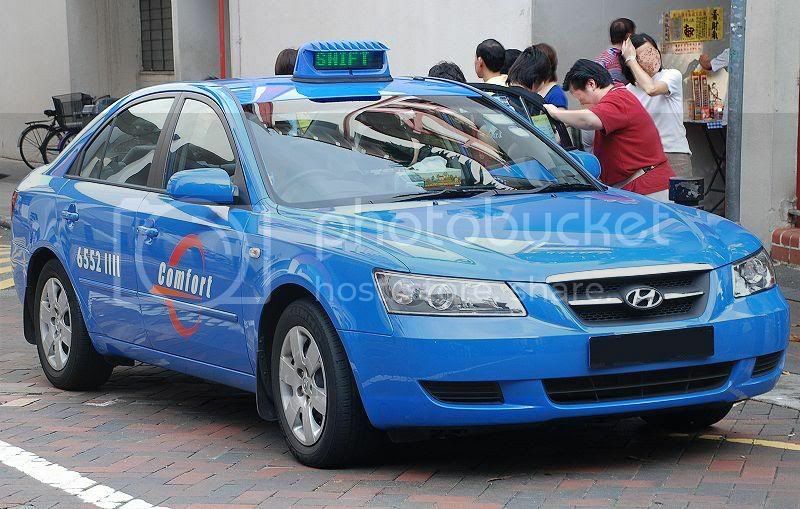 Many people in Singapore thinks that Taxi Drivers in Singapore are out to get as much money from each individual as possible. To do this, the drivers may carry out several underhanded methods to earn the extra cash, the most common being taking unnecessary detours, driving slowly on purpose, and even driving into a traffic jam on purpose. Heck, taxi drivers are depicted by the general public as a bunch of assholes who are out to cheat everyone of that extra dollar. Reality is that taxi drivers are profit maximizers. This means that their income are very dependent on the trips they make. However, how do taxi drivers maximize their profits? Is it by earning extra cash out of each and every trip? No. In fact, taxi drivers will almost never want to earn that extra dollar from you(except that if you are giving them tips). Lets first consider the relation between the relative time taken for each trip and the trip's cost. If taxi drivers wants to earn more money in a single trip, they would have to delay the trip somehow, through ways such as taking unnecessary detours and such. By doing this, the time taken for each trip will be longer. Lets say a taxi driver works 8 hours a day. On his usual days, he would probably be able to get lets say, 20 passengers. Now by taking unnecessary detours, the time taken for his average trip will have lengthen, though however, he manage to get a few extra dollars. Lets say each passenger he manage to get a dollar more. Now, he would get about 14passengers. Now, you have to consider the fact that for every trip the taxi drivers make, the initial amount that the passenger have to pay is already $2.80. Not forgetting if the driver is working mid night shift and everything. If you think about it, it would be more profitable for a driver to actually take up more trips than increasing the amount earned per trip. Lets say a driver gets 20 passengers, and averaged $6 per trip. The amount earned would be $120. Now consider the driver gets 14 passengers, and averaged $7 per trip. The amount earned would be only $98. Therefore there is really no way a taxi driver will want to travel a longer distance just to earn extra cash from a single trip. This is what u did after o'levels? Good stuff anyway. Frisbee?? ?